I was listening to Andrew Taylor’s interview with Artsjournal.com founder/editor Doug McLennan today. During the interview McLennan mentioned all the ways in which organizations were creating online communities to help them achieve things. One of the ways he mentioned people’s contributions were rewarded was via a ranking system to show who had been most productive. I started thinking about whether this might be a useful way for arts organizations to motivate volunteers. At one time, I had heard that creating contests and achievement awards for volunteers could be counterproductive in terms of motivating and retaining volunteers. I wondered if the new online rewards environment may have changed this. 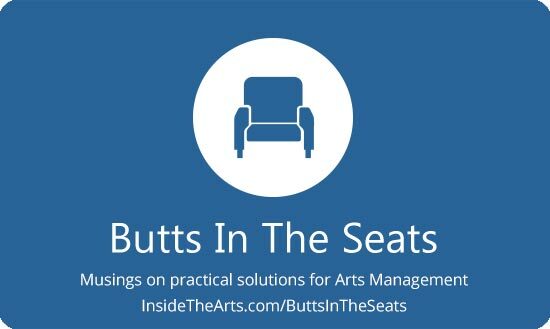 After some reading and thinking on the matter, I decided a ranking system is probably still not useful in many of the traditional functions of an arts organization. One of the things I read which confirmed my recollection advising against rankings is that many volunteers are motivated by other factors than rankings. Also, different people have different ranges of ability. If someone is providing assistance because they believe in the organization but is in a situation where recognition is accorded to those who are hustling for first place, they may become disheartened. One suggestion I read was to have people compete against their own old milestones. Online communities have a certain anonymity that can insulate one from emotional investments. This may not be the case when a volunteer is working to benefit people and causes with which they can personally interact and experience. There is also the issue that online contributions can be made on ones own schedule. Involvement and duration are self selected. Whereas many arts organizations engage volunteers during certain hours and events. There is also often a person acting as a gatekeeper determining who gets to contribute and when. A person striving to be number one may find time constraints and scheduling favoritism shown others inhibits their ambitions. Scoring people for activities that aren’t constrained too much by time deadlines may be still possible. You can open up archives and newspaper/props storage and just let people go at it cataloging and organizing things on their own schedule. Though physically getting in each other’s way in cramped storage areas is also a problem that online activities don’t face now that most people have fairly speedy bandwidth. If anyone has any feedback in terms of reward systems that were meaningful and didn’t alienate volunteers, ideas for ways to motivate volunteers given the expectations of the internet age or even tasks you can turn to the internet group mind to accomplish (like designing Drew McManus’ Twitter page) I would love to hear them.